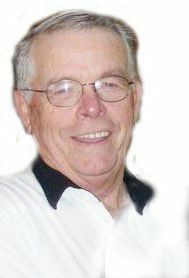 Ed Felts, 68, passed away July 27, 2015. He was born December 18, 1946 in Flagstaff, AZ to Luke and Lillian Felts. His family relocated to Mesa, AZ in 1956. He graduated from Mesa High School in 1964. Ed joined the Air Force in 1966 and was honorably discharged in 1969. He is survived by his wife of 21 years, Faye, as well as 4 children, 2 step-daughters, 16 grandchildren and 10 great-grandchildren. Visitation will be Friday, July 31, 2015 from 6-8 PM at Bunker’s University Chapel, 3529 E. University Dr., Mesa, AZ 85213. Funeral services are Saturday, August 1, 2015 at 11 AM, preceded by a visitation at 10 AM at the LDS Chapel at 1455 N. Harris, Mesa, AZ 85203. Arrangements by Bunker’s Garden Chapel, www.bunkerfuneral.com. Iam so sad to find out about Ed being in that truck accident. My dad K.C. and I worked at Red Mountain with Ed for many years. May our father in heaven bless your family.